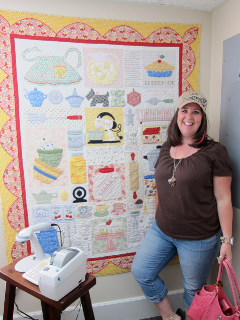 This quilt reminded Jen of her grandma. 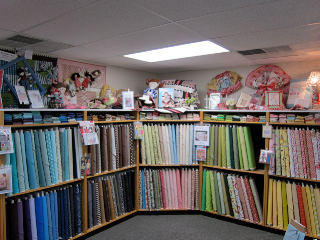 It's a good thing I don't collect fabric like I do paper, or I would need a much bitter craft room. The eye candy in this store had me giggling as I ran around shooting pictures. These cute quilt patterns were designed by Kris. 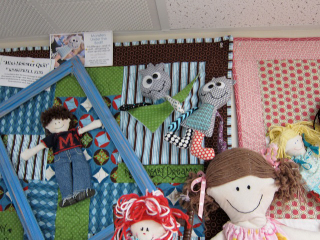 I loved that the boy and girl quilts had a little pocket with cute add-ins...the boy a martian and the girl a soft doll. So cleaver and sooooooo cute! 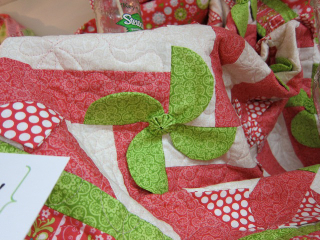 Loved the pinwheels on this quilt...I think they would have been perfect with a cover i-top button in the center of them, don't you think? 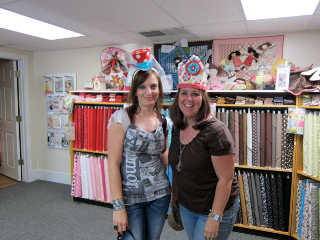 Sometimes we get a little goofy..."where there is a hat, there is a great photo opp!" Oh this is the best part I just had to share. 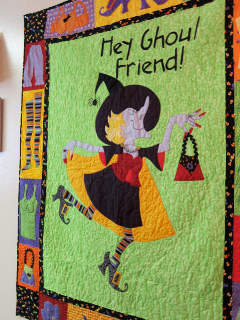 My Girlfriend's Quilt Shoppe offers a monthly "Girls Night Out." It reminded me of our scrapbook crops. 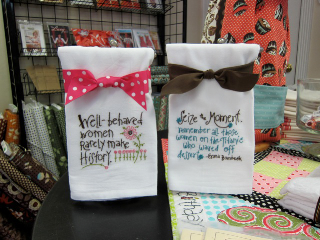 The ladies started trailing in with their sewing machines in rolling tote bags and ready to have fun. Kim and Kris make sure you have fun while you are there. The provide treats, giveaways and access to the store from 6:00-11:00pm. You of course get a discount while you're shopping (aka working) and also uninterrupted sewing time to hopefully complete a project. I loved that they did this and told Kris I would share with my readers. 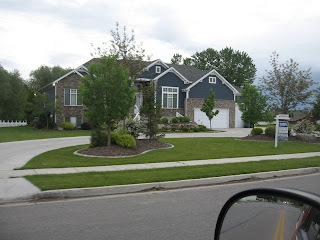 So if you're a sewer check and don't mind a beautiful drive up to Logan, give them a call to find out when their next night is scheduled, (435) 213-3229. Or follow them on Facebook. 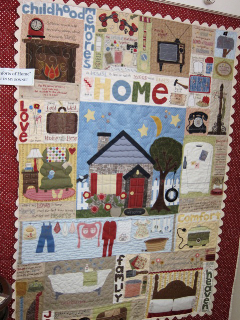 Another amazing quilt...I want to buy it all to paper-piece it instead!! I thought this quilt was appropriate for our road trip. 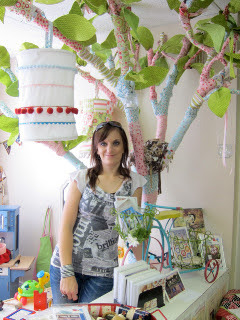 So if you went to Quilt Market in Salt Lake back in May then you probably saw this adorable fabric covered tree in the Riley Blake booth. If you didn't go, like me then you would have been totally amazed by this creation for the first time. Kim and Kris were able to fit it into their kids "gated" play area and it's the perfect accent to an already adorable shoppe. Bridget posing in the kids play area. Now wasn't that worth the drive up to Logan?? 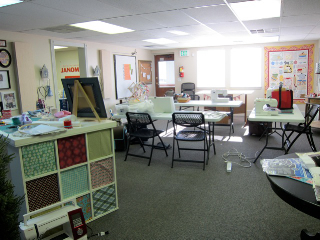 You can find My Girlfriend's Quilt Shoppe online soon at their new website, but until then you can follow their updates on Facebook. And did you know I get to work with these amazing ladies over at My Craft Channel, check out the announcement. Thanks girls for the renewed inspiration!! I wish you had taken me with you. Oh, how I love to sew. 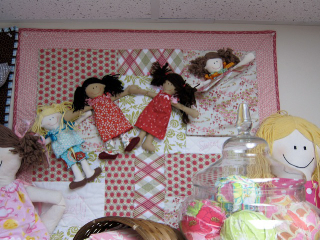 I would love a kids corner in the sewing shops up here in WA. The shops up here always give me some rule to follow, like I don't know how to take care of my own kids. 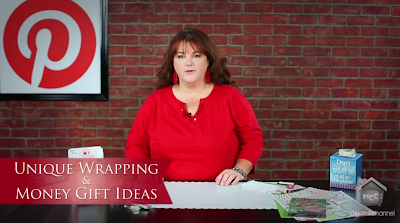 I mean, come on, could a child really get hurt playing around rolls of fabric? Well, yes they could, but it's fabric, it washes and it's soft. Oh, well, I'll have to put up with the snotty sale associates up here until some smart person put in a kids corner. 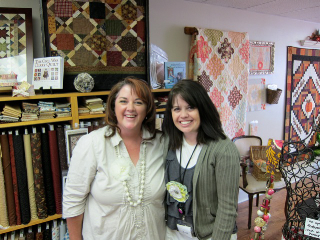 Lori, I'm a little slow at getting around to my bloggy friends sometimes, but had to say Hi!!! 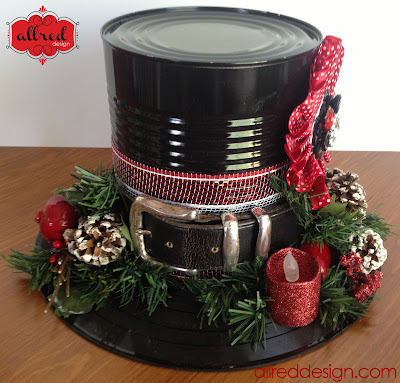 Thanks for the linky love and the kind words in this post! 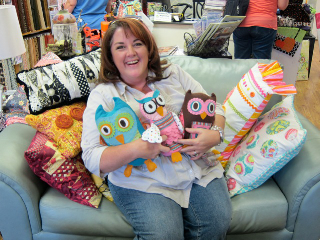 And isn't that the cutest store ever? And aren't Kim and Kris great? Such talented, warm and fun gals. Glad to see that you survived girl's camp! lol. Don't be a stranger!